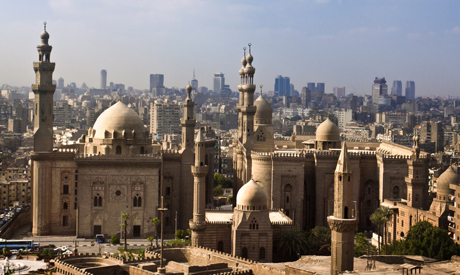 A UNESCO delegation toured Cairo on Saturday with Egypt's antiquities minister as part of a two-day visit to gauge the city's historical sites. The tour, which also included the International Council of Monuments and Sites (ICOMOS), will submit a report on its findings to a ministerial committee heading by Prime Minister Ibrahim Mehleb. During the tour, Antiquities Minister Mamdou Eldamaty asked the delegation to pay a visit to Djoser's Step Pyramid at Saqqara necropolis to inspect restoration work being carried out and the current condition of the pyramid, which will be included in the report. 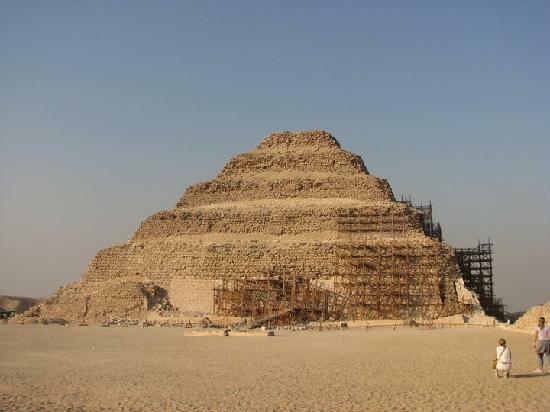 Djoser's pyramid is under the domain of the ICOMOS, the global authority on issuing technical opinions on monuments and sites, said the minister, adding that the council's last report on the pyramid was issued in 2011. "I insisted on the ICOMOS visiting the Djoser's pyramid and to write a detailed report on it, in order to put an end to the non-stop media controversy and brouhaha around the restoration work of the pyramid," Eldamaty said. Two months ago, archeology activists said that restoration work being carried out on the pyramid was ruining the site and also being executed by a firm that wasn't qualified – or even specialised in such work. Media reports also circulated that a block of the pyramid's structure had tumbled off. The antiquities ministry denied the claims. Kamal Wahid, director of Giza antiquities, told Ahram Online at that time that the restoration work was utilising the latest technology and had been approved by antiquities ministry, its consultancy bureau and UNESCO.